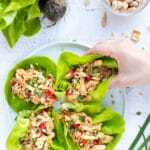 Lemon Pepper Wings are full of lemon pepper seasoning and are a great low carb, keto, gluten-free, Paleo, and Whole30 appetizer or snack recipe for your Super Bowl party. 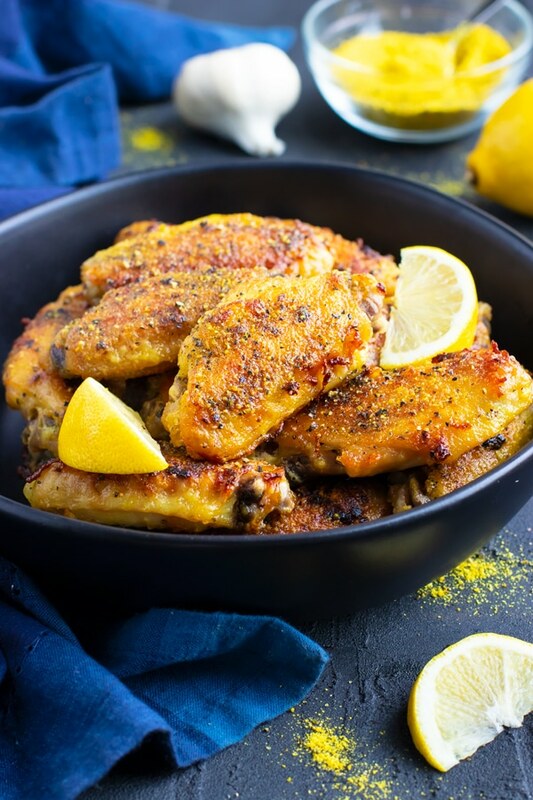 This lemon pepper chicken wings recipe is baked in the oven, instead of fried, and has a super crispy and crunchy exterior your guests will go crazy for! Lemon Pepper Wings for Game Day! Chicken wings sort of get a bad rap for being unhealthy and difficult to make. 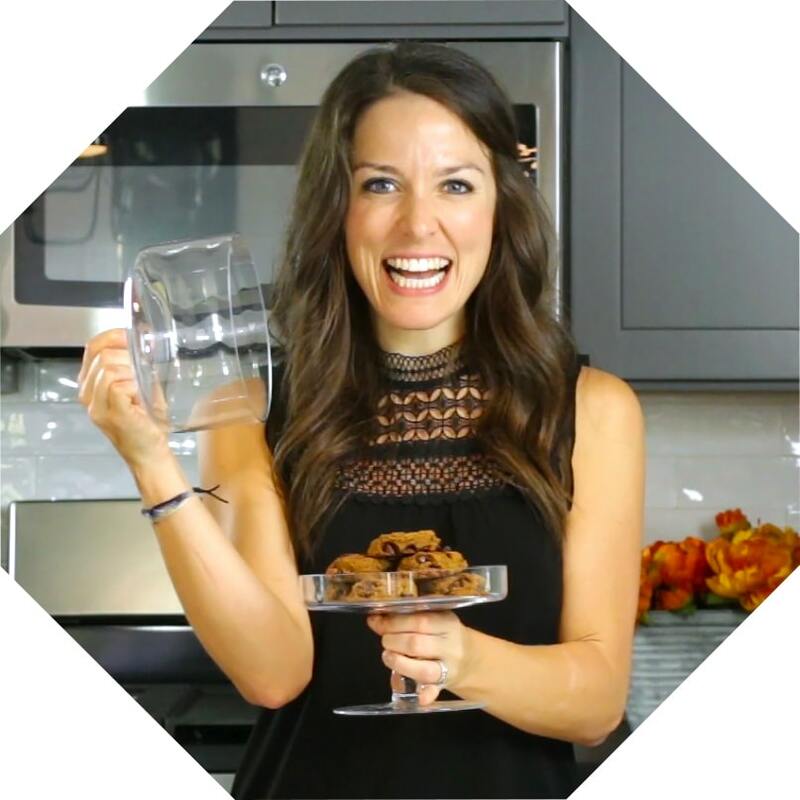 But can I let you in on a little secret?… They can actually be A LOT healthier for you if you bake the chicken wings in the oven AND rather easy to make, too! 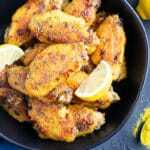 So go ahead and read on to learn how to make lemon pepper wings, how long to bake chicken wings, the best way to get crunchy and crispy chicken wings, different types of lemon pepper seasonings, and how to serve them up on game day! 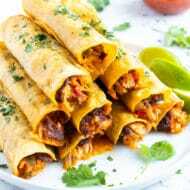 Buy wing portions (wingettes or drummettes) to save you A TON of time! You can buy the WHOLE wings, but you will have to follow this video here to learn how to cut whole wings into portions. This step gets the chicken wings slightly wet so the starch will adhere to the skin. 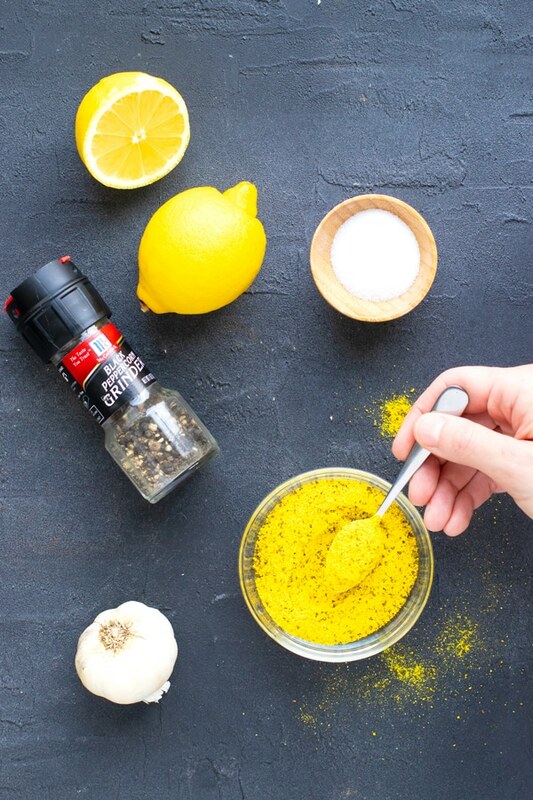 Only add salt to the mix if your lemon pepper seasoning is salt-free. See below for more information. In a small bowl, whisk together tapioca starch and lemon pepper seasoning. Sprinkle mixture over the chicken wings and toss to coat completely. 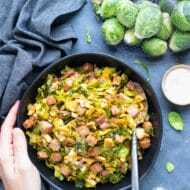 You can also use corn starch or arrowroot starch in this step. The starch gives the baked chicken wings their crispy coating, so DO NOT SKIP THIS STEP! 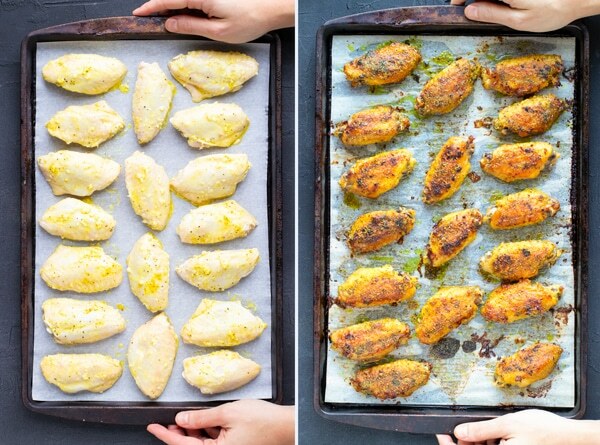 Place your coated lemon pepper wings on a parchment paper lined baking sheet in a SINGLE layer. Be careful not to overlap the chicken wings for the most crispy skin! Bake chicken wings in a 400 degree oven for 40 minutes, flipping halfway through. Lather on your sauce of choice and return the chicken wings to the oven on a high broil and broil the chicken wings for 4-6 minutes or until crispy. As mentioned previously, there is a secret weapon when making lemon pepper wings in the oven… the starch! In order to get a crispy and crunchy coating on these baked chicken wings, you CANNOT skip this step. (Even if you’re watching your carbs!) Trust me, without the tapioca starch your chicken wings will be a soggy mess instead of a crispy and crunchy delight. Also, making sure your chicken wings are in a single layer ensures they do not get stuck together and crisp up on ALL sides. I personally like to place my chicken wings skin side-up during the first 20 minutes of baking, skin side-down during the second 20 minutes of baking, and then skin side-up again when broiling. Please pay very close attention here, because I have made this mistake myself before! Some lemon pepper seasoning mixes come with salt already added to the mix while others are salt-free. 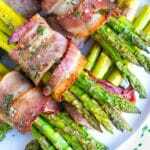 If your lemon pepper seasoning is salt-free, then follow the recipe below as written. If your lemon pepper seasoning DOES contain salt, then do not add the salt mentioned in the lemon pepper wings recipe below. McCormick Lemon & Pepper Seasoning – contains salt. Lawry’s Lemon Pepper Seasoning – contains salt. 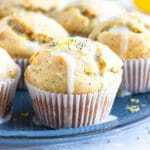 Homemade Lemon Pepper Seasoning – salt is optionally added. 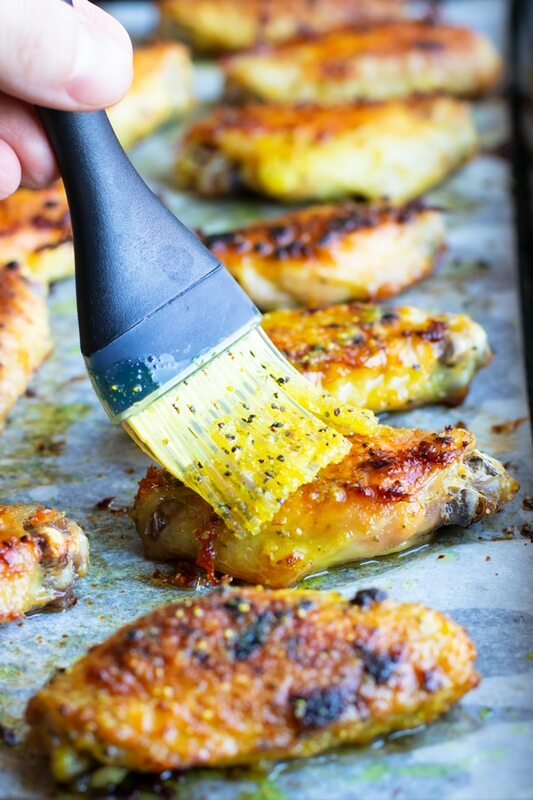 Once your chicken wings have baked in the oven you will mix together a bit of lemon pepper seasoning with melted butter and brush it over your baked wings. 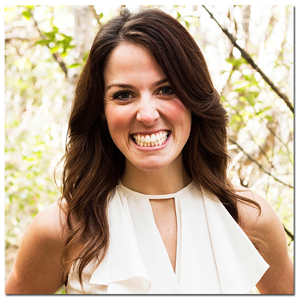 If you are Whole30 or Paleo, simply use ghee. If dairy-free, use a vegan “butter” stick instead. 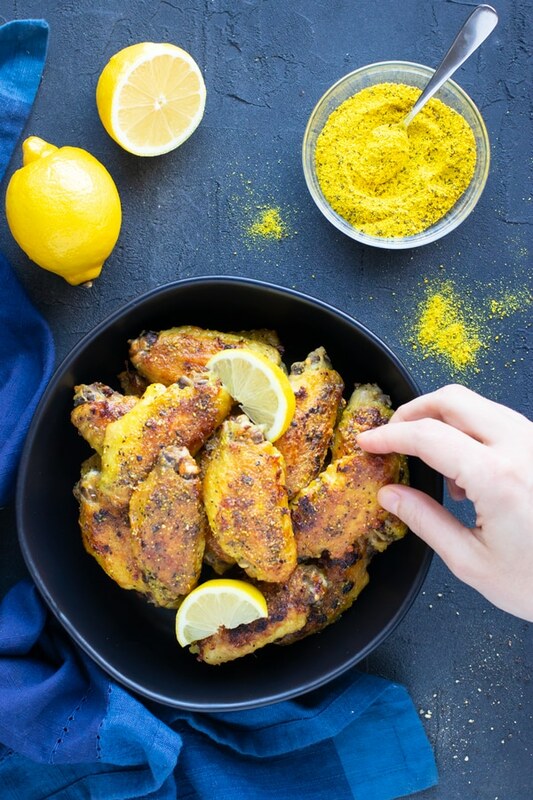 These lemon pepper wings are best served straight out of the oven with an extra sprinkling of pepper and a bit of fresh lemon zest. You can prep these baked chicken wings ahead of time, also, and simply reheat them in the oven at 350 degrees, uncovered, for 10-15 minutes. 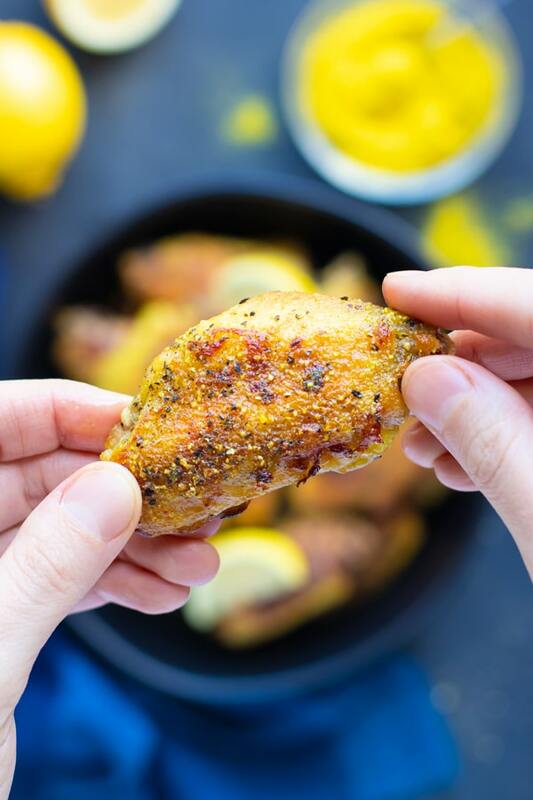 Lemon Pepper Wings are full of lemon pepper seasoning and are a great healthy, low carb, keto, gluten-free, Paleo, and Whole30 appetizer or snack recipe for your Super Bowl or game day party. 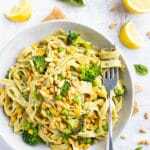 In a large bowl whisk together crushed garlic, lemon juice, olive oil, and salt (if lemon pepper seasoning is salt-free.) 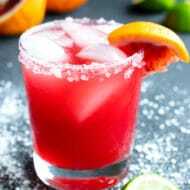 Add chicken wings and toss to combine. 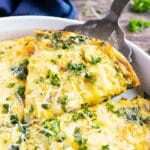 In a small bowl whisk together 1 ½ teaspoons lemon pepper seasoning and tapioca flour. Sprinkle mixture over wings and toss to combine. 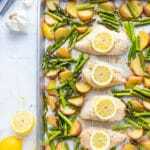 Line a large baking sheet with parchment paper and place wings in a single layer. Bake wings in preheated oven for 40 minutes, flipping halfway through. 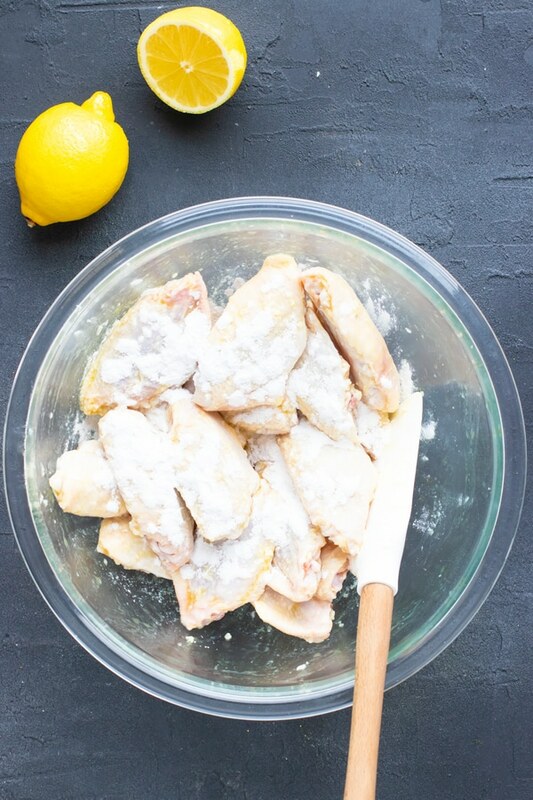 While chicken wings are baking, whisk together melted butter and remaining 1 teaspoon of lemon pepper seasoning. Once wings are done, brush lemon pepper-butter mixture over wings. Broil wings on high for 4-6 minutes or until skin is crispy and slightly browned. 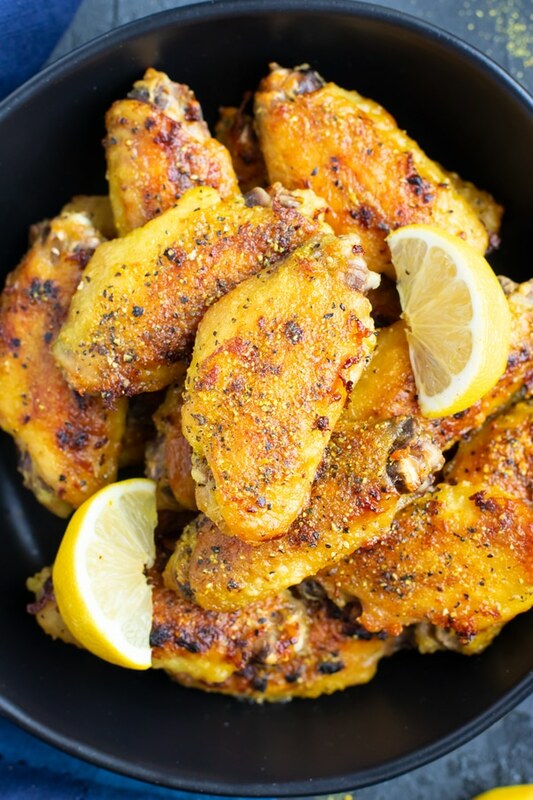 Serve lemon pepper wings immediately with a sprinkle of freshly ground black pepper and lemon zest and enjoy! Some lemon pepper seasoning mixes have salt added and some do not. 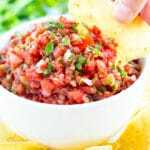 Be sure to read the label carefully and only add salt to the recipe if the seasoning is salt-free. Can also use a dairy-free vegan "butter" stick. McCormick Lemon & Pepper Seasoning - contains salt. Lawry's Lemon Pepper Seasoning - contains salt. Homemade Lemon Pepper Seasoning - salt is optionally added.